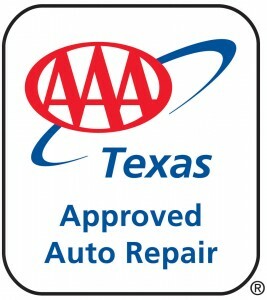 (Houston, Texas) — AAA Texas announced today that B & M Auto Specialists in Mansfield has earned certification by AAA’s Approved Auto Repair program. The certification means the repair facility has met AAA’s strict criteria for technician certification and customer satisfaction. AAA-approved shops also offer a wide range of automotive services and are equipped with the high-tech equipment needed to repair today’s sophisticated vehicles. “The AAA Approved Auto Repair program examines all aspects of a repair shop’s operation and awards approval to only the best shops in the business,” said Geoff Latin, Group Manager Automotive Services. Any motorist can look to the AAA Approved Auto Repair logo as an assurance of the facility’s reliability, but AAA members get extra benefits from approved shops. These benefits are listed on the “AAA Member Bill of Rights” posted in every AAA-approved shop. They include free inspections when a member’s car is in the shop for any paid repair and a 24-month/24,000 mile warranty. AAA members also get guaranteed written estimates, return of replaced parts on request and AAA-mediated repair dispute arbitration.